To enhance connections with third-party products, Microsoft will publish on its Web site documentation for all application programming interfaces (APIs) and communications protocols in its high-volume products that are used by other Microsoft products. Developers do not need to take a license or pay a royalty or other fee to access this information. Open access to this documentation will ensure that third-party developers can connect to Microsoft’s high-volume products just as Microsoft’s other products do. There has been a massive amount of effort invested in this documentation work. I've had the pleasure of working on some of these documents myself, specifically some of the message queuing ones, and so it's great to see them out in the open. You’ve got to see this. 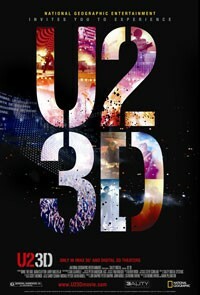 It’s a U2 concert movie filmed over several shows on their recent tour of Latin America…and it’s filmed in 3D! We saw it on the huge screen at the IMAX in Seattle and it is just jaw dropping. One minute you’re on the stage, next you’re in the mosh pit, next you’re flying over the stadium. You’re all sat there with your oversized glasses on, looking a little like Bono himself, grinning from ear-to-ear as Edge plays his guitar solo right in your face or Adam’s bass lines thump your chest. It’s just an amazing experience. Like many geeks I have a server at home that we use as a central place to store music, photos and documents. I used to use an old Fedora Core linux box to do the job, based on a vintage dual processor PIII. This trusty old box had served me well for several years and accompanied me on the trip across the Atlantic from Newcastle to Seattle. Well, a few weeks back it finally gave up the ghost, leaving me to look for a replacement. For those that haven’t heard of it, Windows Home Server (WHS) is pretty different from the other flavours of Windows in that, rather than being a general-purpose platform, it’s squarely focused on being an appliance for the home. It’s intended to run as a headless thing that you can stuff in the closet, or, if you prefer, in the wardrobe. So what does it do? Well, first it acts as a central file store. You can create a bunch of shares and make them accessible over the network by your client PCs. Not much new there I hear you say. True, not on the surface of it, but if you look under the covers you’ll see a few smarts in how the server is storing the data. Instead of using RAID-based storage for data redundancy, WHS allows a bunch of different sized discs work to work together as a single volume. If you mark a particular share as requiring duplication, WHS will make sure that each of the files are stored on multiple physical disks. If you need more storage just go ahead and add some more drives and WHS will add it to the pool. If you have a disc failure, pull it out, stick in a replacement and WHS will do the necessary re-shuffling to restore the duplication. Very cool. Another very useful feature is the integrated support for automated backups of the other computers in the house. By installing some ‘connector’ software on each client box, WHS will automate their backup using a nice incremental backup scheme. Using the server console you can configure the backup schedule that you want. The machines then wake up in the middle of the night and back themselves up to the server. You can open any of the backups and restore individual files or you can restore a complete machine using a special recovery disk. As the guy from The Fast Show’s Jazz Club would say, nice! But wait, there’s more. WHS also provides a remote access feature that allows you to get at all your files or remote desktop into any of your home machines through a remote desktop protocol tunneled through HTTP. One of the nice things about WHS is that it’s based on Windows Server 2003 so, if you know what you’re doing, you can get under the covers of the very simple-to-use interface and get to the real server underneath, allowing you to install other software on the box. I installed my streaming music server which works great; I’ll talk about this in another post. Anyway, I’m sold, WHS is a really great product. If you’re looking to centralize your family’s photos and music or implement a backup strategy for all your precious data, I’d recommend that you take a look at WHS. You can buy pre-built, typically headless, machines from the likes of HP and smaller specialist providers, or you can buy the software and install it yourself. I’m running mine on a relatvely beefy system (2.33GHz E6650 Core2Duo) but others have reported respectable performance on some really old boxes. You know you’ve been looking for something to do with that old PC you’ve got lying around. You can register for an evaluation at the Windows Home Server website. 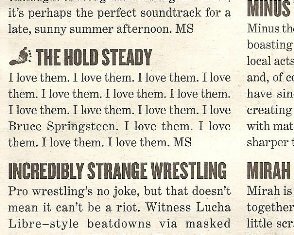 If you read The Guardian you’re probably well aware that they love The Hold Steady. A couple of weeks ago they proclaimed their Glastonbury appearance to be “The gig of the festival.” Earlier they gave rave reviews to their records, Separation Sunday and Boys and Girls in America. For me, The Hold Steady is just the most exciting band around. A month or so ago, Helen and I went down to Portland to see them play at the Crystal Ballroom. They played the Monday of the Memorial Day long weekend. We’d spent the weekend over in Hood River hiking and relaxing and when it came to the evening of the show I’d almost forgotten we were going to see a band. They weren’t playing til late and we sat in the downstairs bar having a few drinks til around 10 or so. We made our way upstairs and jostled for position, still pretty relaxed. When they finally came on stage and started playing, I was overcome by this complete sense of energy, excitement and joy. I was leaping around like an idiot (along with many other idiots!). The show was everything I expected and more; I was 18 again, feeling how I felt when I first heard bootlegs of Bruce’s live shows from the 70s. Craig Finn, singer with The Hold Steady, understands this feeling too - check him out at the Springsteen tribute show from back in April. But in the end, I guess, I love the Hold Steady because they make me feel like I did when I was 18. I don't mean girlfriendless, uncertain about the future, and prone to adolescent moodiness. I mean excited about the possibilities that music can offer, that someone you've never met can sing to your soul. Don’t miss them if you get the chance. From this week's edition of Seattle's The Stranger. Dirty, that's the best way to describe the guitar sound opening the new Black Rebel Motorcycle Club record, Baby 81. It reminds me of the John Squire riff that opens The Stone Roses' Love Spreads. It's a sound that we haven't heard from BRMC for a while. Their last album, Howl, had a much more low key, alt-country feel than their first two records. I loved Howl, it was my album of the year for 2005, I bought copies for friends and everything, but I missed those dirty guitars and awesome rolling, rumbling bass lines. Well they're back and were in full effect at their Sunday night show at The Showbox in Seattle. They played most of the new record and the new songs came over strong, better than on the record in many cases, especially "666 Conducer" which I thought was just brilliant live. They played just a few songs off the first two records including "Whatever Happened to my Rock and Roll (Punk Song)" which was as great as ever. Throughout the set they switched instruments a fair bit with Robert playing bass, guitar and piano and Peter playing guitar, bass and trombone - very cool. After the end of the main set, they reappeared for an encore without Nick. I think they said he was suffering from allergies or something. It was definitely unplanned. Anyway, whatever the cause, the result was great. First Robert played "Mercy" (in the dark) and then Peter came out and played "Fault Line" from Howl. Then we had a great version of "Promise" before an all acoustic version of "Ain't No Easy Way" with Robert playing guitar standing behind the drum kit, pounding the bass drum with his foot - very cool. Then, a real surprise, Robert played Dylan's "Lonesome Death of Hattie Carol" - an excellent version too. The impromptu acoustic encore reinforced the point that while BRMC make the most beautiful dirty garage rock, they still sound great when stripped down to the bone. Go and see them if you get the chance. I've been using OneNote 2007 quite a bit since I joined Microsoft. It's a really nice tool for taking and organising notes. I particularly like the way it integrates with Outlook so that I can right-click on an Outlook meeting and automatically create a new note with all the meeting info (participants etc.) right there. Anyway, it has a bunch of cool features but I discovered a new one yesterday that blew me away, it's called OneNote Live Sharing. Using this wizzo feature it's possible to share a note with a group of others over the network. You can either use this in broadcast mode where the group see the changes the owner is making, or you can enable it so that the group can collaborate on updating the content - it's very cool. A copy of the note gets also saved in each user's notebook. I think it synchronises offline updates too but I haven't tried that yet. I was in a Scrum planning meeting yesterday and we used this Live Sharing feature to collaborate together to edit the plans - very agile! It's kinda like a giant whiteboard that everyone can update. If you have OneNote, give it a whirl. Just back from Austin and another fantastic few days of music at South By Southwest. This was our forth year and it was especially sweet for me this time to be able to catch up with my music-loving chums from Nottingham and Newcastle that I don’t see often enough anymore. We spent a few days in New York on the way (well, on the way for the UK folks anyway) and I managed to catch up with my friends Fiona and Neal there too. 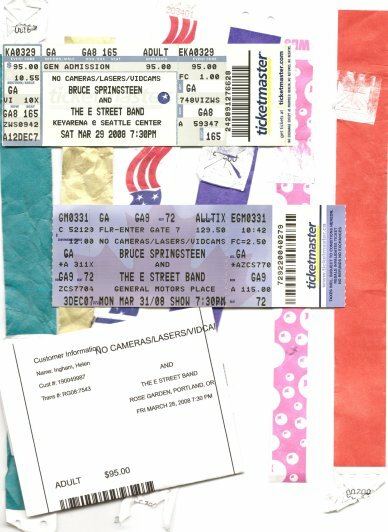 For some reason this didn't get posted last year; anyway better late than never here's what I saw at South By in 2006. There are a few photos with notes here and the full set is over here.